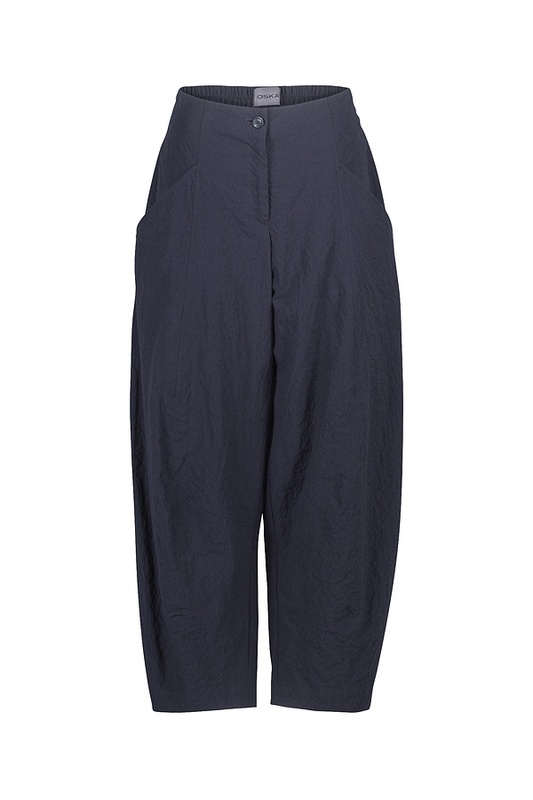 The fashion statement that these OSKA trousers make is: be authentic and feel comfortable. Their casual voluminous O-shape is kept in form by cleverly placed darts and seams. The narrow fit at the hips profit from an elastic back waistband which ensures a maximum of wearing comfort. They fasten with a zipper and button. Two pockets round off these trousers.